Queen is fully made of polycarbonate, a strong material suitable for any habitat. The chair is inspired to traditional models but introduce a touch of contemporary design, either for material and construction technology. 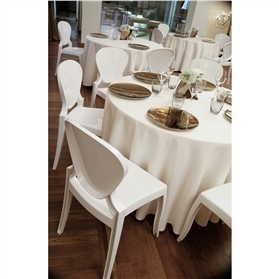 Queen chair is available in white or black full colour version or in clear, amber, violet or smoke grey transparent version.